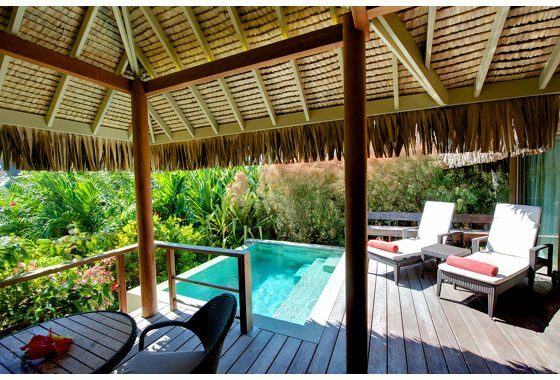 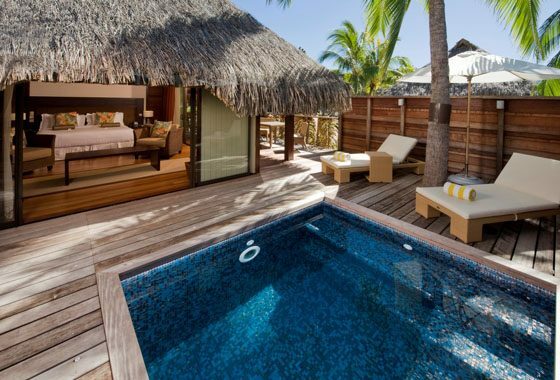 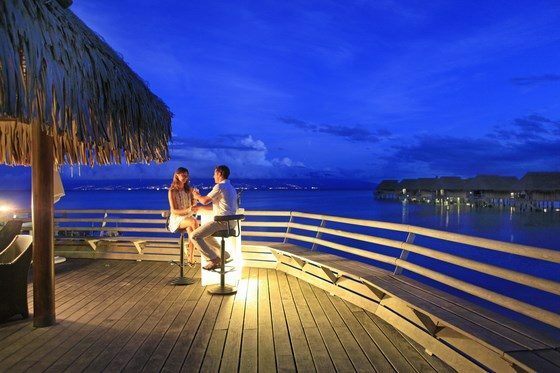 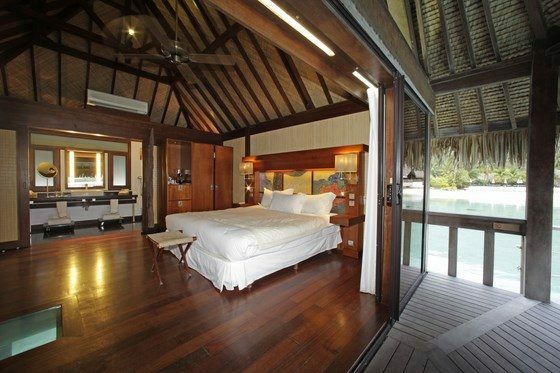 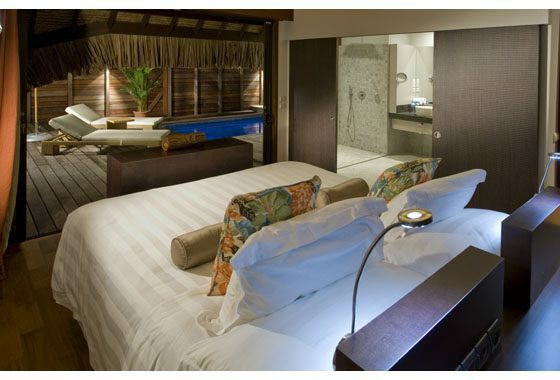 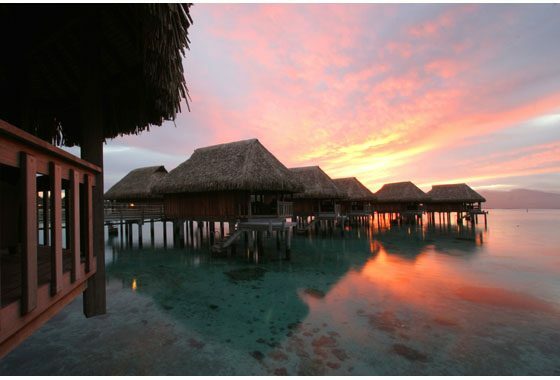 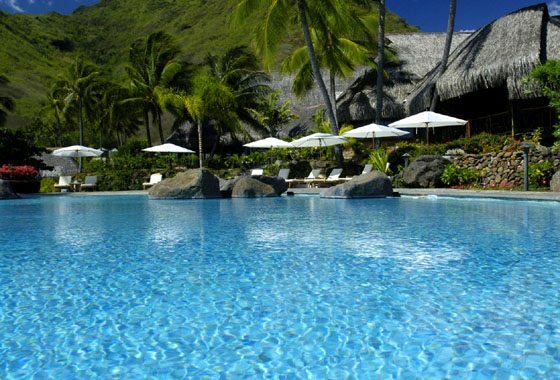 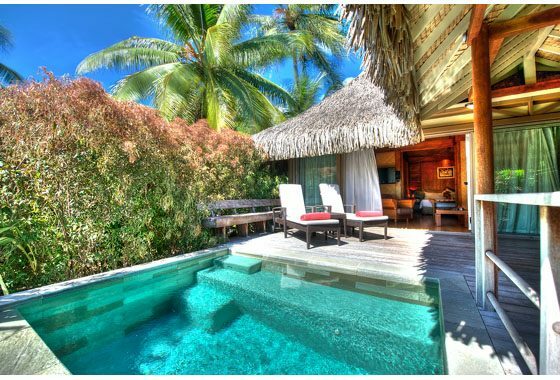 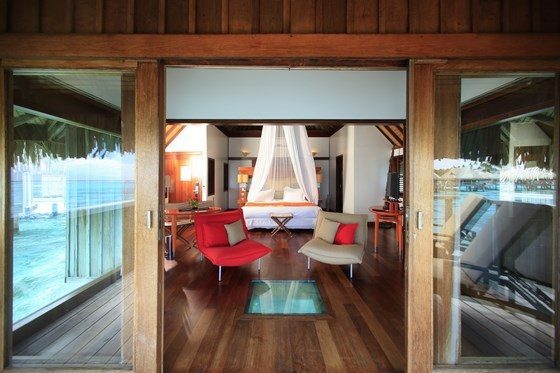 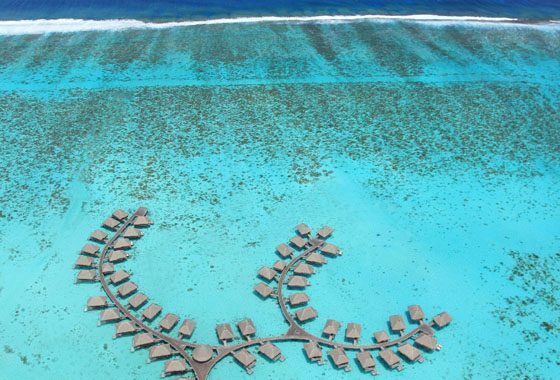 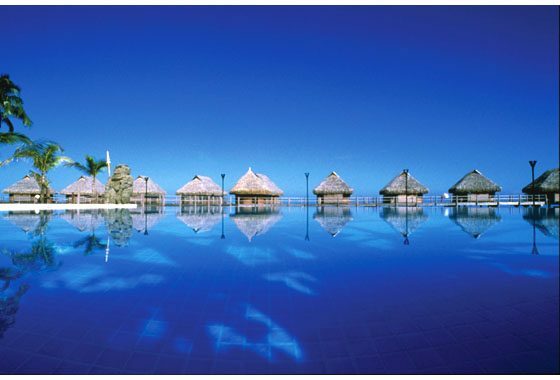 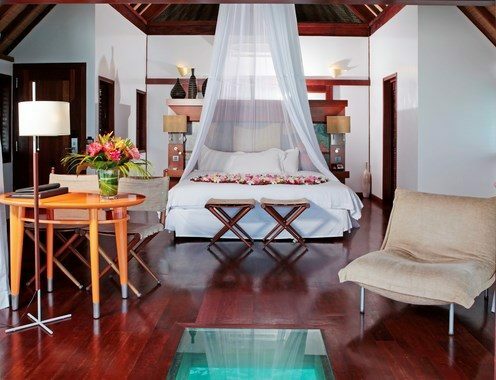 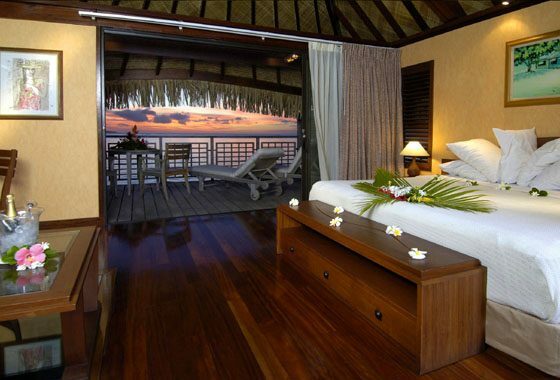 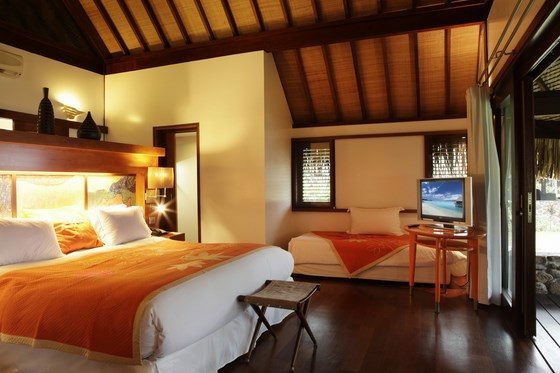 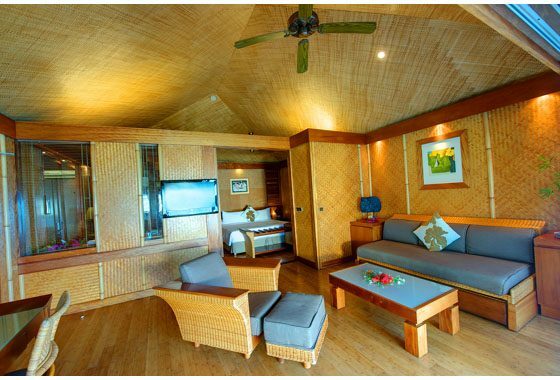 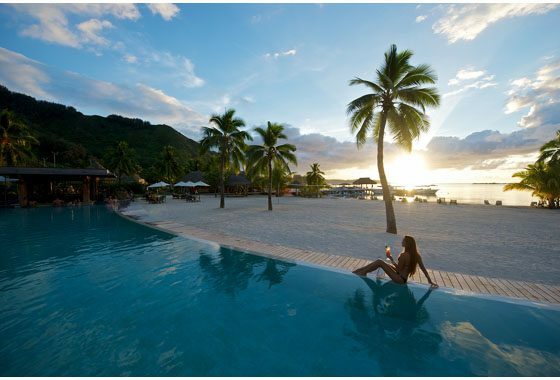 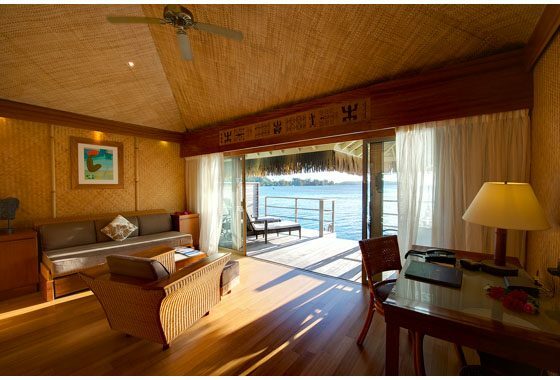 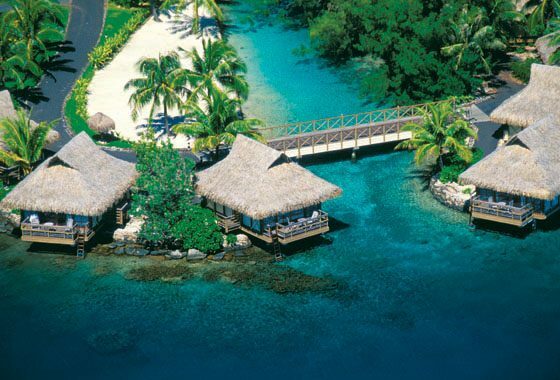 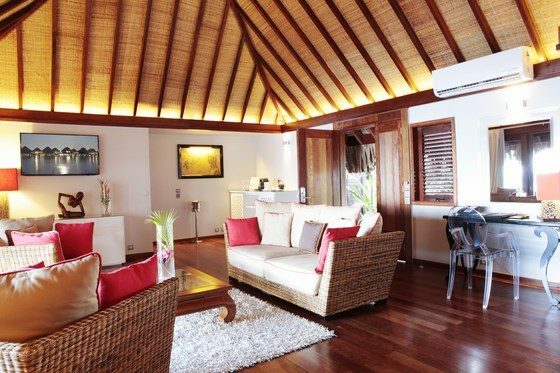 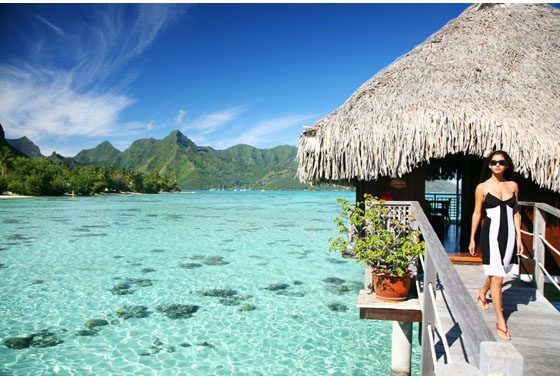 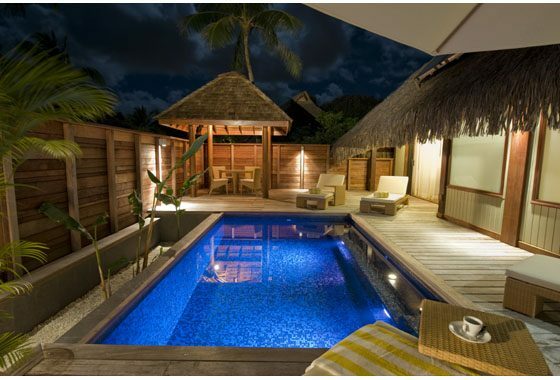 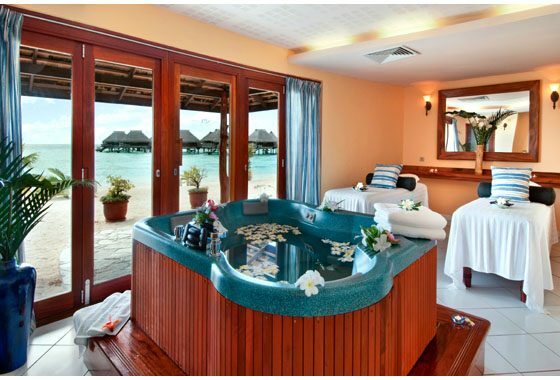 3 nights minimum at a 4 or 5 stars resort on Moorea island. 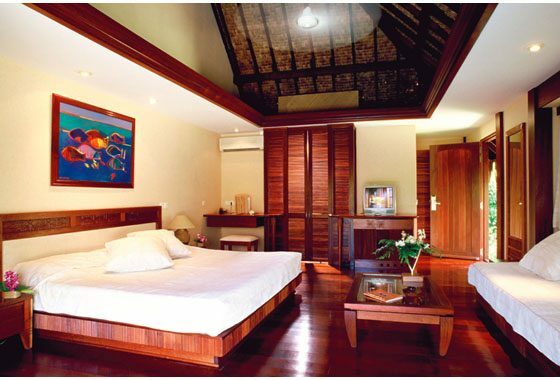 Select your resort and room type online. 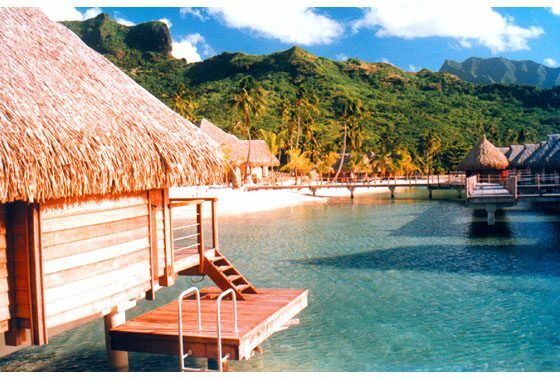 Package depart & end at Moorea Airport or Ferry Warf. 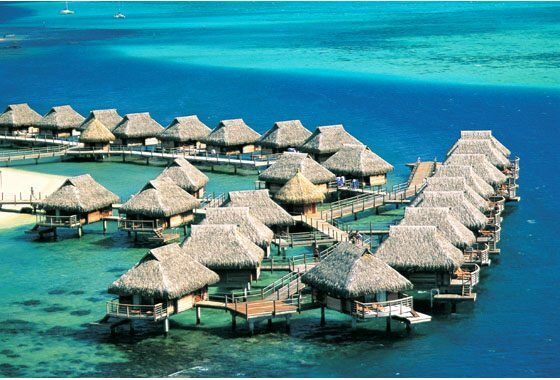 Prices are per person, in U.S. dollars and based on double occupancy. 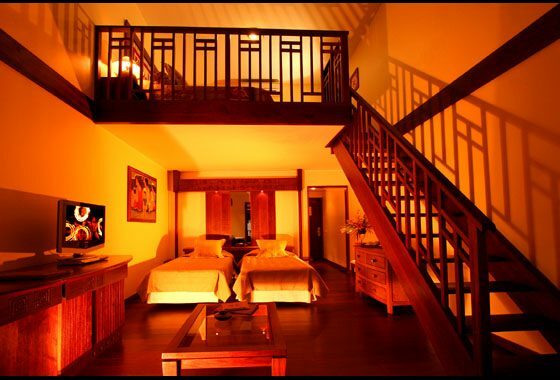 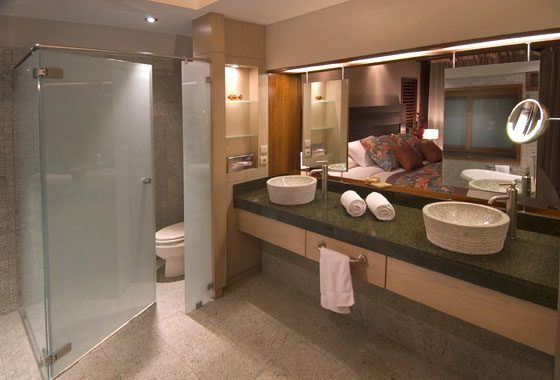 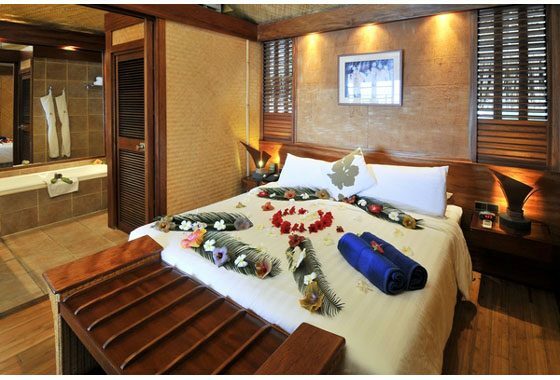 Other room categories and lengths of stay are available. 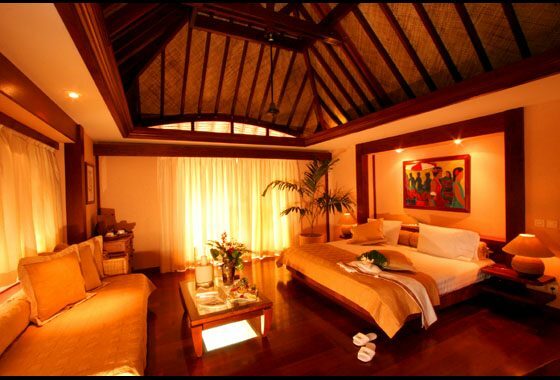 The vacation shown is based on availability. 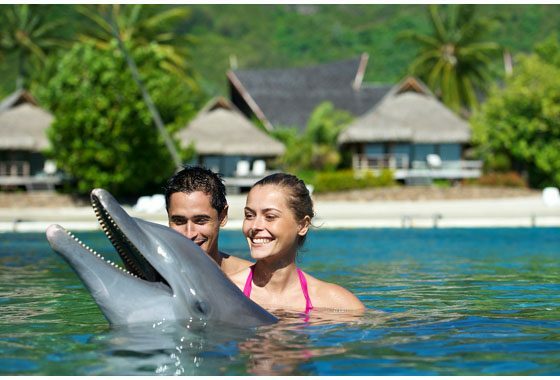 The price and inclusions will vary based on the selected travel dates, resort and room type. 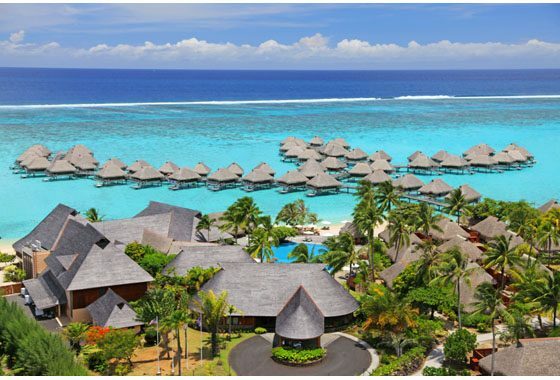 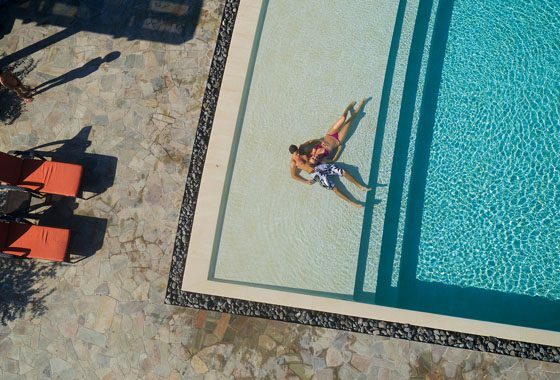 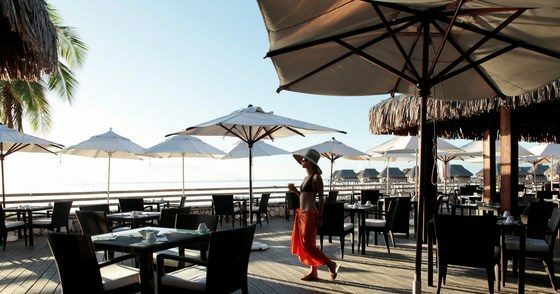 All requested transfers to and from your hotel are included, these will be set up by your personal travel consultant at EASYTahiti, a detailed itinerary will be provided for you after your booking, explaning all your transfers details. 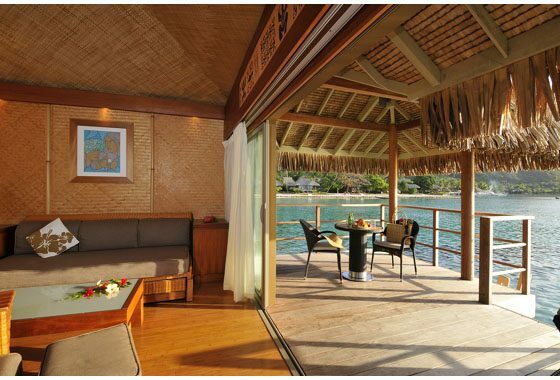 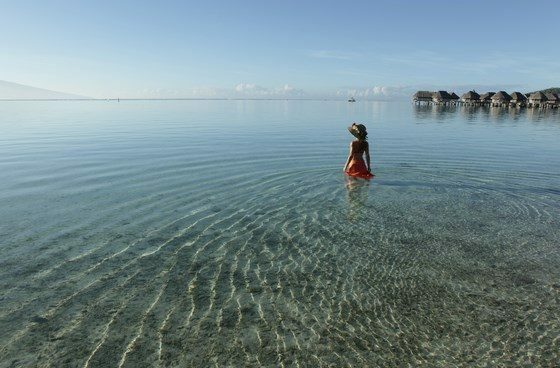 Aboard a polynesian outrigger canoe to discover Moorea's fabulous lagoon, with only 12 passengers, enjoy the luxury, space and comfort offered by the boat. 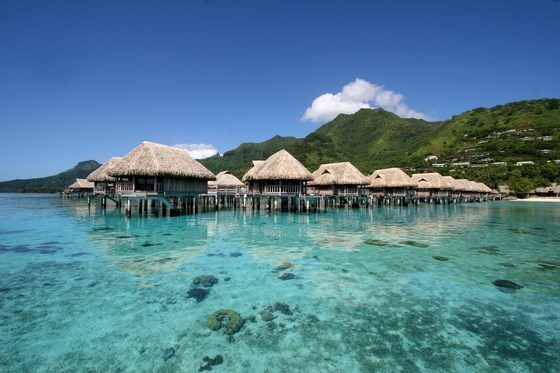 Embark upon a magical adventure to discover Moorea's best attractions. 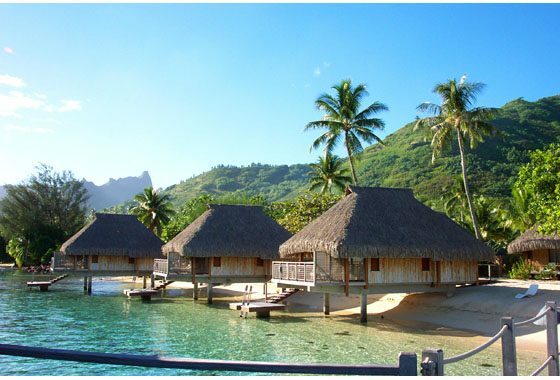 After pick-up at your hotel, discover Cook's bay and its magnificient mountains. 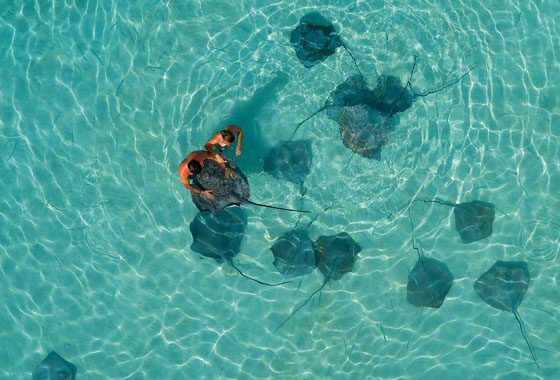 Cruise through Moorea's lagoon to go meet friendly stingrays and black-tip sharks in shallow water. 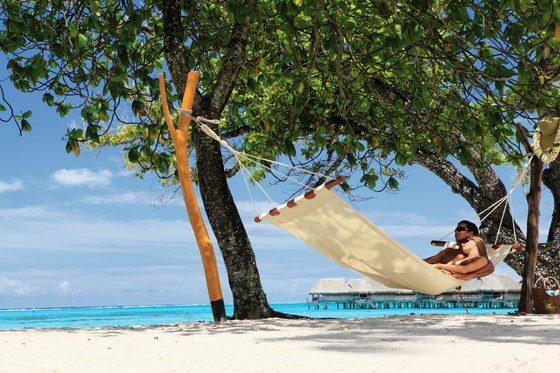 Enjoy some fruits and relax on a beautiful sand-bar at the motu (islet). 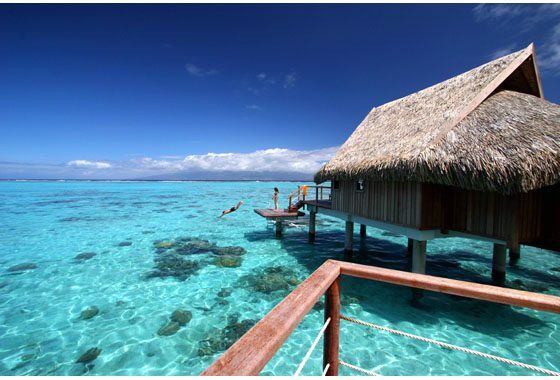 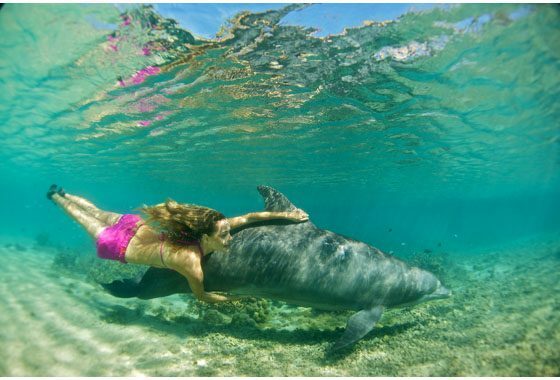 You can then go snorkeling and admire amazing fish and coral reefs. 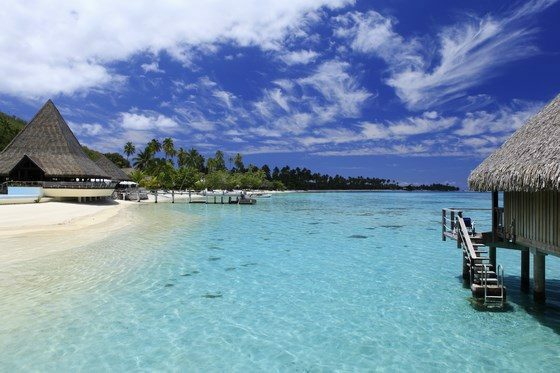 A delicious lunch is served on a quiet white sand beach, with your feet in the water. 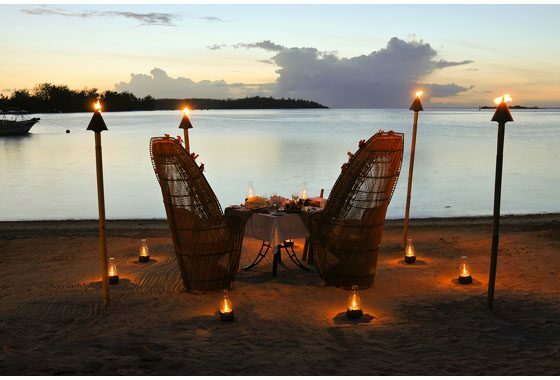 You will then be brought back to your hotel. 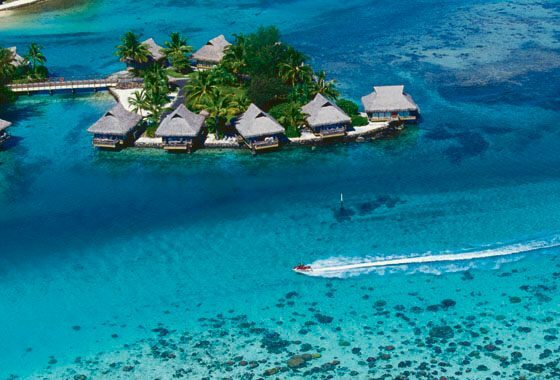 You'll drive the island ring road to go to the interior of the island by way of Opunohu bay. 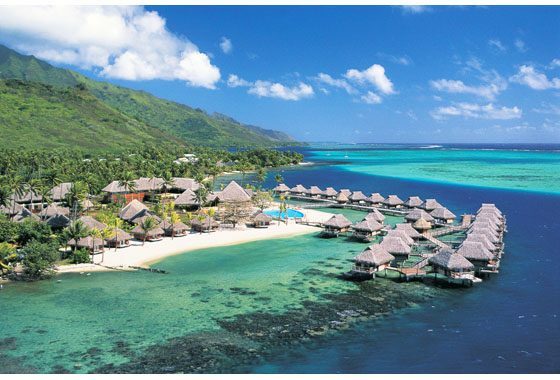 hen up to the Belvedere (panoramic viewpoint) and then onto the Agricultural College at Opunohu (the only one in the country). 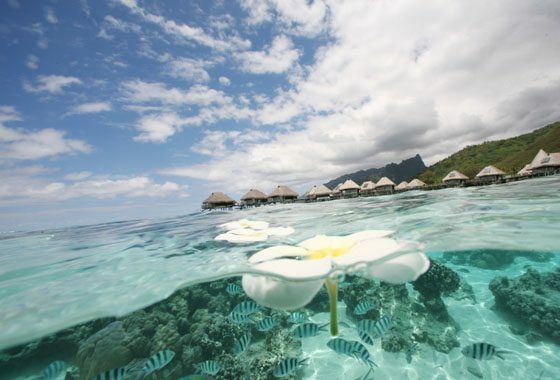 Here you will discover many of the tropical plants, flowers, and fruits, native to French Polynesia. 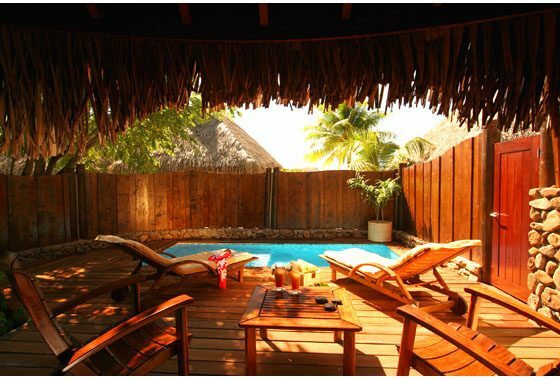 Jam and fruit tasting, including the delicious Pineapples from Moorea. 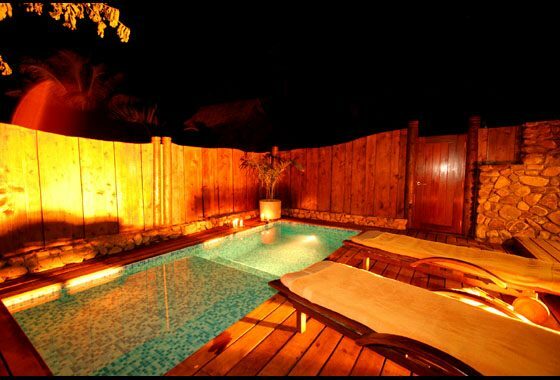 Swimming stop in the river (toboggan). 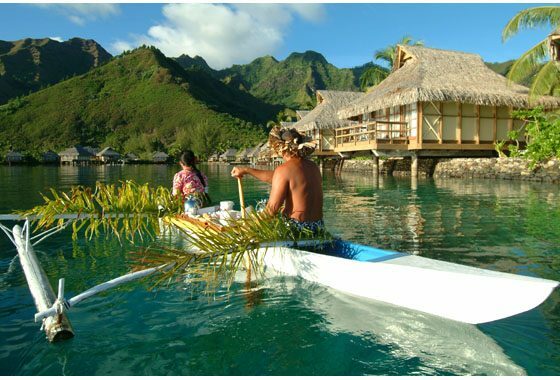 This discovery tour enables you to learn about Polynesian culture, and visit some of the beautiful sites. 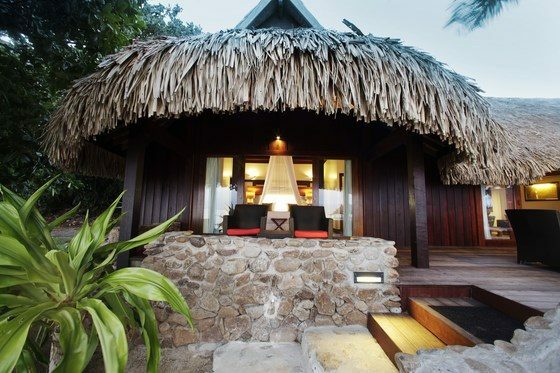 As you arrive at Tiki Village Theater you will be welcomed to the sound of guitars and ukuleles, as the Tahitians take you on a visit to their village. 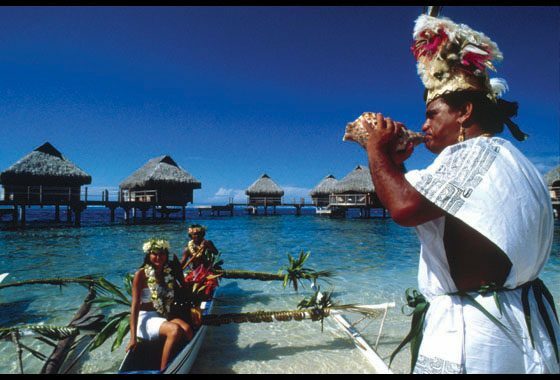 You will witness the opening of the Tahitian earth oven and will partake of the tamara'a. 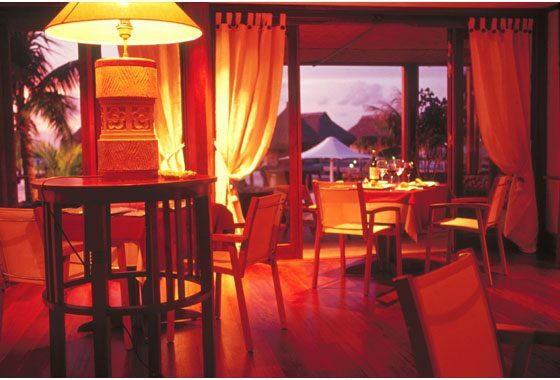 A welcoming punch cocktail is then served. 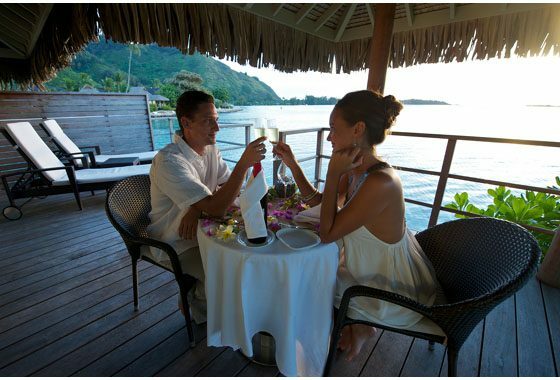 During the meal you will enjoy Tahitian specialties with freely flowing wine. 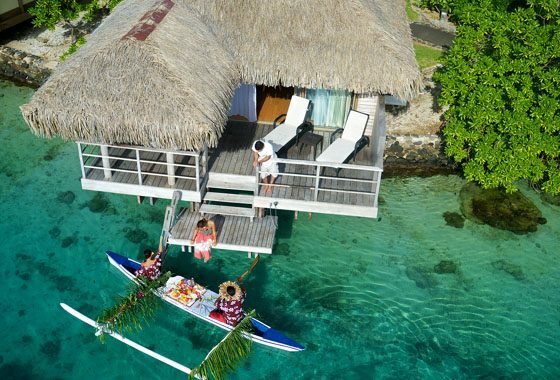 Fei (cooked banana), Uru (Breadfruit), Taro (a root vegetable), Fafa (a chicken with spinach dish), Pua (pork), Poe (fruit baked in coconut milk), and some grilled meats and fish and a selection of delectable desserts. 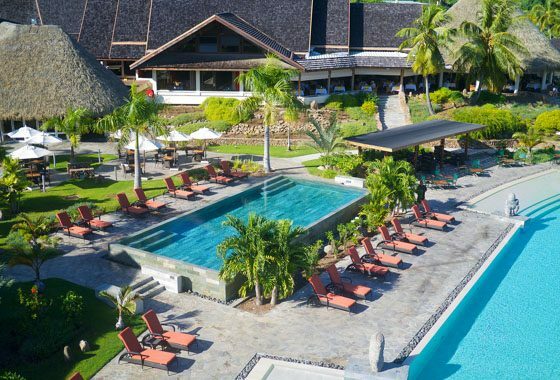 Later you will have the chance to enjoy a tahitian dance show and take in a pareo parade presented by the vahine and tane of the village.